A bespoke suit is like a second skin – a garment that best reflects you, and hence, you need a good custom tailor. But why buy bespoke? There are two primary reasons to buy bespoke: fit and quality. If you are looking for something instantaneously, bespoke is probably not for you. But if quality and fit are two of your major requirements, you should totally opt for it. Most men generally look passable in an off-the-peg suit and that’s because there’s no such thing as a standardized, symmetrical body. This is where a custom tailor or bespoke tailor comes into the picture. Rocky’s (HK) Fashions is a bespoke tailor in Hong Kong. The way our bespoke suit is crafted leans towards the idea that it will be worn for a long time, thus highlighting our true bespoke tailoring. We take pride in our quality of garments and focus on providing world class tailoring to our clients. Using the finest fabrics and industry-best workmanship, Rocky’s (HK) Fashions produces clothing of the highest quality and style. We are clearly one of the best tailor in Tsim Sha Tsui, Hong Kong, offering top-notch service. Our skilled custom tailors create bespoke suits, shirts, trousers, vests, jackets, and topcoats, all priced competitively. 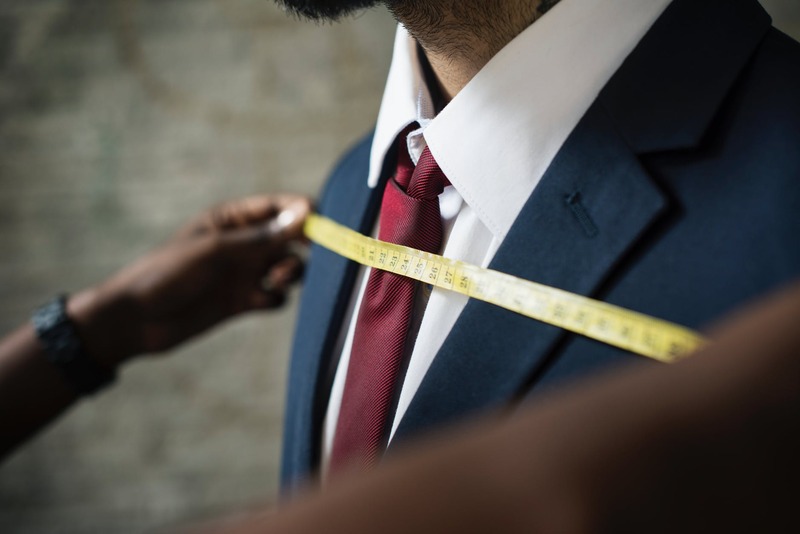 Bespoke tailoring isn’t just about the clothes – it’s a way of life, and thus we at Rocky’s (HK) Fashions have come up with the ultimate bespoke offering for the time conscious modern gentleman, optimised for a convenient bespoke experience. No other custom tailor in Hong Kong can match our signature collection of subtle tones and distinctive designs. Why choose Rocky’s (HK) Fashions? Bespoke tailoring involves creating a suit from the ground up. It also offers the opportunity to develop a truly individual garment, not just in shape but in detail and finishing as well. This is why we are simply the best tailor in Tsim Sha Tsui, Hong Kong. It is hard not to get impressed by our miracle of tailoring. So, come visit us and choose from over hundred different palettes to satisfy your need for a bespoke suit.